There’s no time for errors in the restaurant business, although that doesn’t mean we don’t all make them from time to time. Customer loyalty is the key to long-term success, and to accomplish that we need to anticipate our customers’ needs, deliver better service and menu items than they’d dare to hope for, and make it all look as easy as possible. The only way we can pull this off is to make sure that everyone is bringing their A-game and playing together as a team. When that happens, service excels, sales soar, customer satisfaction happens and repeat business builds. 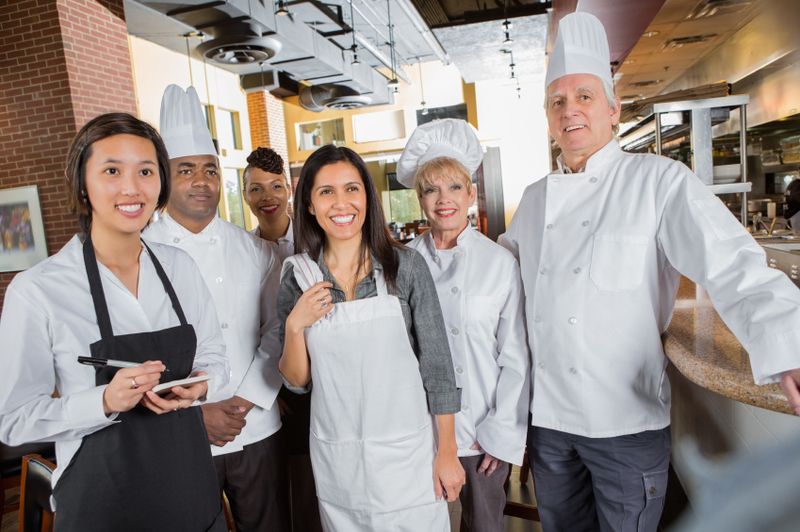 Waitstaff incentives programs keep your staff focused and bring out the best performance in everyone on your team. Work together to set sales goals. Don’t set quotas. You’ll never get the buy-in if your team members aren’t involved in setting goals. Instead, hold team meetings and ask for ideas from the front and the back of the house. What do customers seem to enjoy the most? Which menu item is most overlooked (and should it be)? What types of specialty drinks do you order elsewhere? Then, determine realistic goals together… four more orders a shift? Twenty more a week? Then, do the math to help servers understand how much additional income they’ll earn with those added-on sales. Create buddy teams. Evaluate sales averages for all your servers and pair high achievers with struggling servers (don’t reveal how teams were decided). Then, give each team a sales goal… use the data from your team members to determine if it’s additional appetizers, drinks, add-ons or overall check averages. Give the “buddies” time to talk and share sales strategies. At the end of the contest, reward the winning pair. Involve everyone in incentive programs. Yes, it’s important to focus on your sales staff, but everyone is impacted by additional sales. Let’s face it: more sales equals more work. Why should only your sales team benefit from that additional work? Set goals that directly impact performance. For example, if your shift’s goal is to sell more desserts, then prep cooks can be rewarded for zero mistakes in desserts. The kitchen crew can be rewarded for consistently getting those desserts out in less than five minutes.